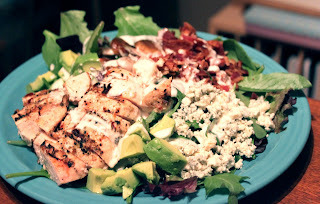 Eric and I had an amazing california cobb salad as part of our New Year’s Eve dinner. We knew we had to make it when we got home…so that’s just what we did. That looks so delicious…and healthy!